A rare find in the sought-after golf community of Keenes Pointe with a stunning view of a Golf Course, picturesque sunsets on a lake and a natural pond, all lounging on the same chair in the backyard oasis. 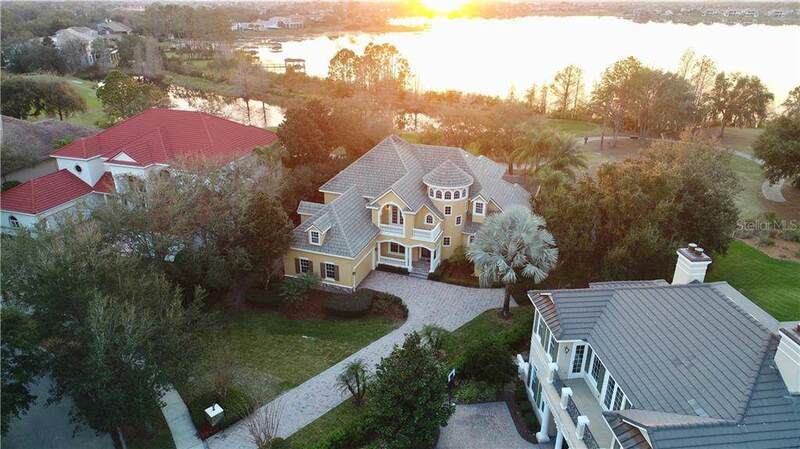 Situated alongside the shores of Lake Burden and located on par 5 of a Jack Nicklaus Signature course, this custom-built estate has a Mediterranean-Modern inspired design featuring 5 bedrooms, 6 bathrooms and over $250,000 of recent upgrades. 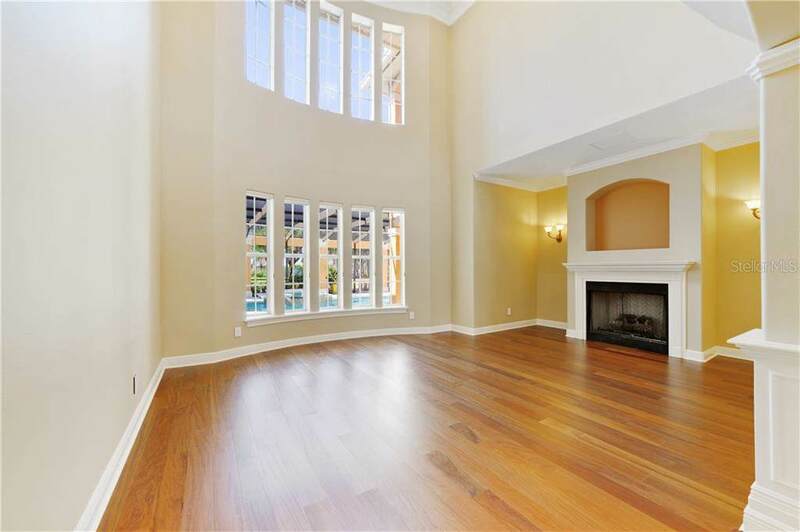 This masterpiece includes everything you would want, brand new exotic Brazilian Teak Hardwood flooring, new premium paint throughout the interior, exterior, pool enclosure and decking. The chef in the family is sure to love the recently remodeled gourmet kitchen with streamline cabinetry, brand new Wolf and Miele appliances, and a wine cellar. The large master suite is on the ground floor, overlooking the pool area, the golf course and the lake. The upper level includes two additional master suites with private balconies.Over 95% of the home has been converted to energy saving LED lighting and modern electrical outlets and switches. 20 new ceiling fans and brand-new light fixtures were installed, along with the new energy efficient remotely controlled NEST Thermostats. All 6 bathrooms feature new Granite countertops, new sinks and refinished cabinets. Outdoors, the entrance porch and balcony has newly installed flooring. The oversized pool and deck feature a newly installed pool enclosure. Schedule your private showing today. Additional Lease Restrictions Please Contact Hoa For Additional Lease information. Amenities Additional Fees Call Hoa For Golf And Social Membership Fee Explanation. Listing provided courtesy of Atlas Blue Realty Inc.